My friend and I took a tour with Nijhoom and thoroughly enjoyed every part of it. 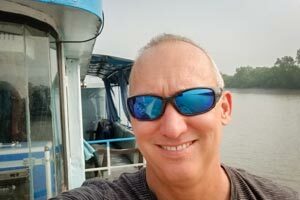 We toured Dhaka, took an overnight ride on The Rocket, had three days in the Sundarbans and a long train ride back to Dhaka. Obviously, one shouldn’t expect luxury conditions in Bangladesh, but you can expect great service and organization from this company. Our guide met us at the airport and went everywhere with us. We always felt safe and well informed with him. He carefully selected where and what we ate and nobody in our group of 4 had stomach issues. We didn’t see a tiger, but one certainly saw us as we saw fresh tracks when returning to our boat along a canal we had just came down minutes earlier. Expect heat and mosquitoes, but also expect a unique experience!